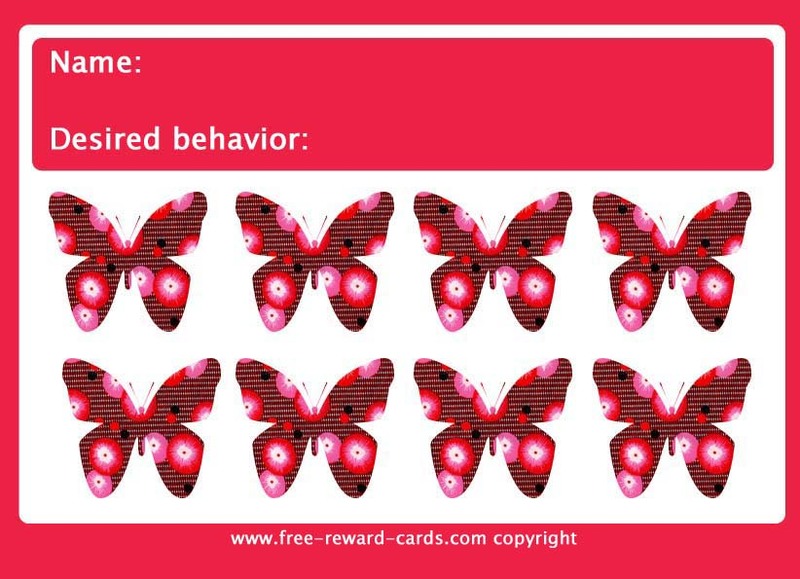 Reward card for children Butterflies. A check or sticker on this reward card might encourage your child to learn other behavior. All these reward charts are free printable via www.free-reward-cards.com. The cards are ment to make parenting more fun and easy for both parents and children.